There was a time that I would have called myself a semi-extreme couponer. For real. I had a coupon binder, an envelope system and would save between 55%-75% off (and a few times even more!) every time I went to the grocery store. I'd take about an hour a week to plan and then like speed racer I would hit up CVS, Publix and Kroger in about another hour. The system was like a well-oiled machine. Then life changed. We moved a few times and I could never get to be quite as efficient… or save quite as much. I tried some other methods and never quite settled on one. Now after being here, there and every where for a while we are finally a little settled (for now at least:)). And I need to decide how I want to do our grocery shopping to save the most money AND time. I kind of think that is the key… there are lots of ways to save you just have to choose the one that is best for your family. So here are the options I came up with… I would love to hear if you have any more, or if you do some combination of these! Soooo… I would basically go back to doing what I did before. Pick a couple of stores. Spend an hour or so a week prepping. When I prep I usually use Southern Savers to help. Then an hour or so a week shopping. This method requires weekly investment. Pros… think I could save a lot this way if I could get as good as before. Cons… takes the most time both prep and weekly shopping trips. Also have to stay really organized. People rave about Aldi… a mean seriously rave. They even have a selection of organic options. I just don't know about trying to get all or even most of my groceries there. Maybe some of you can ring in. I have shopped there once and their prices are already low… pretty bottom of the barrel. Pros… I think that I could buy whatever I need each week, without much planning because their prices are always low. Cons… I am not sure about things like meat, eggs and milk which I am pretty selective about. This method might only work if I pick more than one method. We have done this on and off for the past 2-3 years… why? For us, it was ease. I could get a ton of food and only go grocery shopping two times a month. It is a huge time saver… but in my opinion it is more about the connivence, on most items you do not save that much money. Pros... Huge time savings. Cons… Not as cost efficient… also have to be especially careful not to but the things you don't need! What do you do? What save the most time? What saves the most money? Any thought… I would love advise! I recently wrote a few posts about this, we spend $250 a month for three of us eating. I do a mixture, of Sprouts for all our produce they are like Aldi when it comes to super low prices on produce. Costco for milk and meat, because they are the cheapest. Then Walmart once a month for the other stuff like tortillas, beans, etc. I don't coupon, because like you I feel like the time it would take isn't worth the savings. Plus most of what we eat doesn't offer coupons, ie. cucumbers, milk, and chicken. Stop by my blog and check out the article if you get a chance. Thank you for sharing! I will go check it out! That is about the budget I try to keep for the three of us too… just short of $3 a person a day. And to be honest I think the coupon game has gotten harder and I think there are other options that save money too. Hoping to come up with a good system again to share! I just look for deals...used to do Aldi, but meats and produce are off limits! I have to get that stuff at a grocery store. 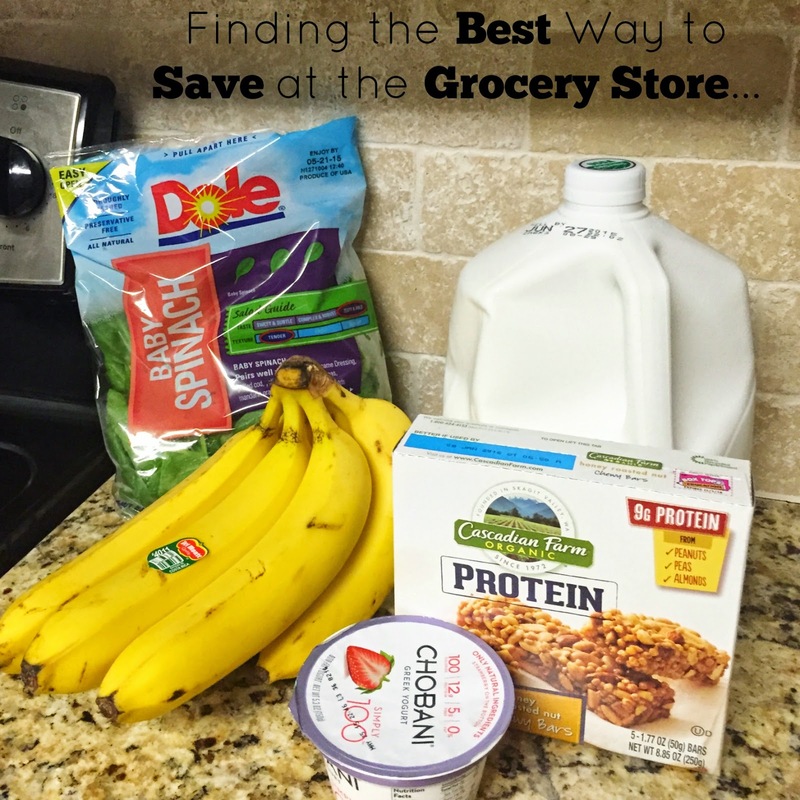 There isn't an Aldi here so I just look for deals and I have our grocery shopping down (lists are the key!) I have never clipped coupons. Looks like y'alls plan works great! I have done a lot of that over the past few years too. If I go in and just shop the ad I save a lot. I hear such mixed things about Aldi's produce… I think I will check stout this week but I just don't want to end up spending too much time on the groceries!!! I have worked at two grocery stores in the past. I personally don't care for most coupons. Some of them trick you into wasting money. For example, I honestly like Wal-Mart's store-brand French fries (the seasoned wedge ones are delicious), which cost $2 at my nearest store. If I found a coupon to save $1 on a name-brand that costs $4, I would actually be spending a dollar more. Also, if you make too many shopping trips and/or go to multiple stores, your savings might be cancelled out by usage of gas. Robin, you are completely right! You have to be so careful for "deals" out there that aren't. I try to focus on the price per ounce to make I am getting the very best deal! I do Aldi for probably 80% of our groceries each week - pros: if you have a good store, they have a solid produce selection (organic and non), a lot of their generic brand stuff is actually really good, they def have bottom prices (at least in MN). Occasionally I have to stop by another grocery store for something I can't get at Aldi, i.e. sweet potatoes, but it's probably only 1-3 things once or twice a month. We also do a Costco run once a week for organic meat, milk, eggs, and some bulk produce and grains (the key with bulk shopping is to really watch the price per ounce compared to your regular grocery store). I've dabbled in couponing, but for the most part found it wasn't worth my time when I was going out of my way to purchase items we didn't normally eat. Plus, we also moved and I had the same problem of acclimating my couponing habits to the new grocery stores! I have been an Aldi fan for quite awhile, as Julianne said above me there generic brands are quite good which is why I have been a fan. Unfortunately the Aldi stores near me don't have the most convenient hours so I haven't shopped there as much. I have seen organic milk (both dairy and nut milks) at Aldi so I think you could be okay w/ milk. I've also heard people tell of getting free-range, organic beef there but I think that may be a special and not an all the time thing. As you indicated the time factor is nice because their prices are low to start with. I have had hit or miss experiences with their produce - got a few multi pound bags of apples they were awesome and worked for all my fall pies, got some organic greens (kale and spinach I believe) and they stunk so bad by the time I got home that I threw the entire bag straight into the dumpster because I didn't want the smell coming into my house! I have found great prices there on organic bananas and baby carrots, and I LOVE their brie! (As in I sometimes drive there just for a round of brie). It has also been mentioned to me by a relative, that a lot of Aldi's produce comes from Chile (every Aldi I have been in the country of origin for produce was marked) and she had heard some less than stellar things about Chile's growing practices and food safety. I haven't looked into those claims myself however so just passing on the info.